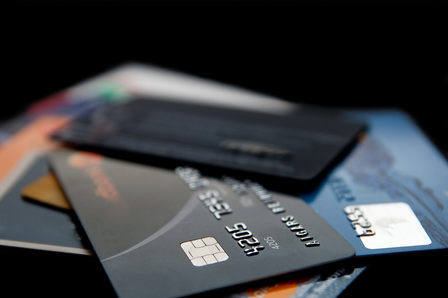 There are many types of credit cards out there for those who need them. The features that separate each type include their interest rates, fees, rewards, where they can be used and who can obtain them. For those thinking of acquiring a credit card, it is best to consider everything out there to see what is available to them and the overall merits and demerits of each type of card. 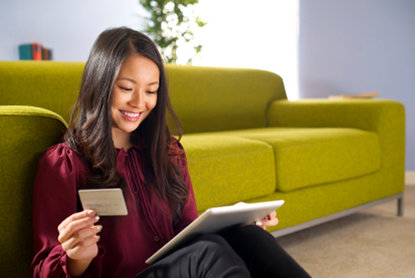 A standard credit card can be used most anywhere but will generally offer very few, if any, special perks. However, they offer all the convenience of having a credit card, and there are some special types of standard cards. Low interest credit cards: It is often possible to find credit cards with special low (by credit card standards) interest rates. However, the catch is that these rates are usually only for a set period of time and generally last no more than 18 months. In addition, there are often clauses in the contract that allow the lender to raise the rates for various reasons to include late payment. Still, they can offer significant savings in situations where someone makes a big purchase and needs time to pay it off. As with all credit cards, be very wary and always plan on paying off the card in full every month to avoid all interest charges. Balance transfer credit cards: When someone has a number of different credit cards that are all charging high interest rates on balances, these cards can be a great way to transfer all the debt a single payment with lower interest rates. Again, however, this lower rate is almost always for a limited period of time and can be changed if the cardholder does not follow the agreement exactly. In addition, once the introductory period is finished, the entire balance will generally be subject to higher rates, so it is vital to pay the debt off before this period ends. When combined with a plan to pay off the entire debt, balance transfer cards can offer the borrower a break from interest and significant savings. For those who are using their cards responsibly, it is often possible to get something back from them. With rewards cards, various bonuses are available. To obtain these cards, it is necessary to have established some kind of credit history and have a higher credit rating. Cash back credit cards: These cards ordinarily do not have an annual fee and can offer nice bonuses over time for those who qualify. Generally, they offer 1% back for every purchase, although this percentage may be higher for select merchants. In addition, some cards offer higher awards when spending surpasses a certain level in a billing cycle. If these cards are used entirely for purchases that would have been made anyway, they offer a way to get a bit of a discount on every dollar spent. Generic miles cards that offer miles on a large number of airlines. Airline specific cards that only offer miles on a single airline. While a generic card has the advantage of giving the user the chance to use the miles on any airline, an airline specific card often offers special bonuses such as double miles when a ticket on that airline is purchased with the card. They also are usually partnered with hotels, restaurants and other similar businesses that will offer special awards or a chance to use miles to purchase goods or services. These cards offer discounts on various travel expenses to include hotel, car rentals, cruises and flights. There is also the chance to earn points that can be redeemed at hotels and other places. In the past, this type of card was often co-branded and limited to a certain hotel chain. However, with the various partnership deals that many now have, they have become more useful and begun to resemble frequent flier credit cards in different ways. General award points credit cards: In the past, these were little more than store cards that could only be used at a very limited number of locations. However, now that many of these cards are co-branded with major payment networks to include Visa and MasterCard, they can be used anywhere those networks are accepted. Besides signup bonuses that attract many people to these cards when they are making purchases, it is sometimes possible to get double and triple points when purchases are made at the store the card is branded for. Since having too many credit cards can hurt someone’s chance of getting credit when they really need it and complicate such things as bill payments as well as keeping track of spending, it is not a good idea to have an excessive number of these cards. However, they can make sense to have for merchants one frequently visits. It is just important to pay them off every month to avoid the high interest rates some of them charge. Automobile manufacturer rewards cards: With special rewards and point systems for purchases of cars, parts as well as related products and services, these cards can offer good deal for auto enthusiasts and those about to make new card purchases. 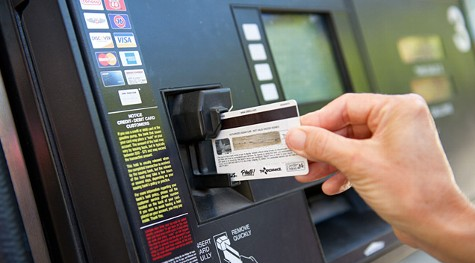 Gas Credit Cards: At a time when people are looking to save money on gas, these cards often offer 3-5% cash back on gas purchases and often are partnered with hotels as well as other merchants for other rewards. Cards for charity and other purposes: For people who want to give back to a charity or other cause, this type of card is a great way to do it. With every purchase, a donation (usually less than 1% of the purchase price) is made to the cause the card is affiliated to. This is a painless way to give, and even a small percentage can add up to a tidy sum of money for these causes. Premium credit cards: These cards will generally have high fees, minimum income and other requirements that may make them unattractive or unobtainable to the average card holder. However, for those who qualify, they often offer special perks and bonuses to include travel insurance that makes them a good deal for some people. For those people who have bad credit or none at all, secured credit cards offer a way to obtain the advantages of having a credit card. 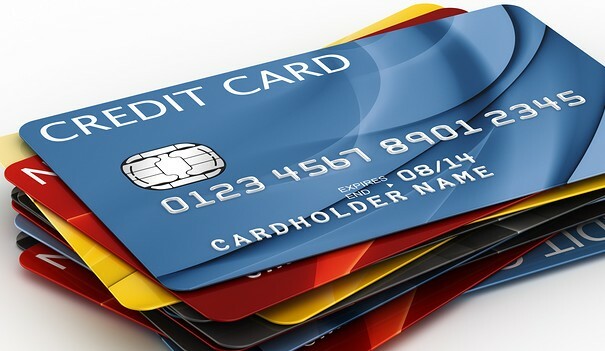 Secured credit cards: When using this type of card, the amount of credit one can use is determined by the amount of collateral that is offered up (this could take the form of a car, stocks, etc.) or more commonly by the amount of money deposited into a bank account with the creditor. The drawback of these cards if that they do not offer any special rewards and generally have high fees and interest rates. Credit cards for college students: Offered to university students, these cards have lower credit limits and other restrictions. When utilized properly, they can be a useful way for parents to support their children while offering youngsters a way to build credit. Business credit cards: Business credit cards offer ways to track spending and simplify having employees make purchases. They also offer special features such as expense management services to help businesses track money for tax and other purposes. With so many types of credit cards to choose from, everyone getting a card needs to closely examine how they spend their money and compare this to the relative advantages the different types of cards offer. In addition, be wary of the fine print and carefully consider fees and interest rates when deciding on a card.